Posted in Ed tech, News, under Middle East North Africa. Tagged with Blockchain, edtech, Learning Machine, University of Bahrain. The University of Bahrain has partnered with credential provider Learning Machine to become one of the first universities globally to issue blockchain-powered digital diplomas that will be instantly verifiable by students and their employers. Using Blockcerts – a global standard for creating, issuing, viewing, and verifying any type of official record using a blockchain as a secure anchor of trust – the digital records will be registered, cryptographically signed and tamper-proof. Students will have access to their own directly shareable digital file, which means that they or their employers will not have to wait for the university to validate their credentials. UOB will pilot the credentials with its postgraduate programs, before expanding to undergraduate programs. UOB president Riyad Hamzah said they are “delighted to be the trailblazers in using blockchain in the MENA region”, adding that it would allow the university to better serve students by providing an encrypted platform to issue credentials with cryptographic proof that they were issued by UOB. 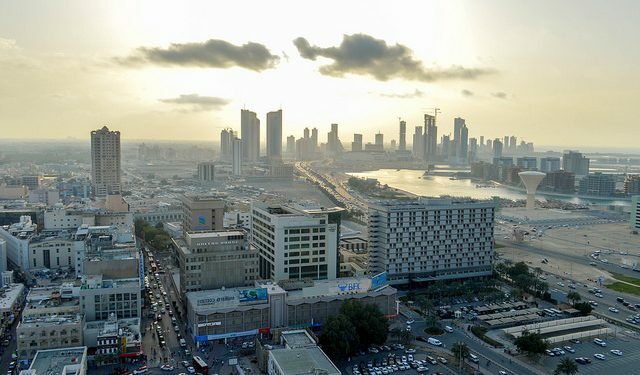 “As Bahrain positions itself as a technology-first country and makes significant progress towards the national 2030 economic vision, I am excited that UOB is playing its role as a pioneer of blockchain and as the regional leader in embracing technology to better serve the country,” Hamzah added. The credentialing initiative forms an integral part of the University’s wider digitisation strategy, which places digital security, ownership, and portability at the centre for globally mobile learners and workers. Head of Strategy at UOB Cameron Mirza added that the collaboration with Learning Machine is a clear sign that the University is embracing disruptive technology in order to improve organisational effectiveness and the student experience. “Through this collaboration with Learning Machine, I am both excited and confident we can accomplish both,” he said. “The potential of blockchain goes far beyond cryptocurrency and its potential use within education is both fascinating and exciting. Learning Machine has deployed secure credentialing systems for customers across Europe, the Caribbean, Australia, the Middle East, and North America. Senior vice president of Business Development at Learning Machine, Natalie Smolenski added that the demand for secure and interoperable digital records is exploding worldwide. “We are thrilled to be working with the University of Bahrain to provide their students and graduates with digital records they own for a lifetime and can verify anywhere in the world,” she said.